Qingdao Liuting International Airport is located in the Chengyang District, Qingdao City, about 23 kilometers (14.3 miles) from the downtown area. Commencing operation in 1982, Qingdao Airport is one of the most important air transit centers in China. It has an aircraft parking apron of 440,000 square meters (about 109 acres) and a runway length of 3,400 meters (about 3,720 yards), which can be used by Boeing747s. The airport has two terminal buildings, covering 120,000 square meters (about 30 acres). The domestic arrival and departure area is in Terminal 1, while the international arrival and departure area is located in Terminal 2. Presently, there are over 400 flights operating from the airport, including 191 domestic departure flights, 190 domestic arrival flights, 23 international arrival flights, and 24 international departure flights reaching cities such as Busan, Frankfurt, Los Angeles, Singapore, Tokyo, Hong Kong, Beijing, Guangzhou, Hangzhou, Shanghai and Xi'an, among others. Passport holders of 53 countries and regions can enjoy a visa-free stay of up to 144 hours when taking an international flight transfer via Qingdao Airport. Read details about 144-hour Visa-free Transit in Qingdao. Holding an Indonesian passport and my flight to Korea happen to have a 15 hours layover at Qingdao. Im thinking to book an airport hotel to sleep during the layover. Would I be needed a visa? 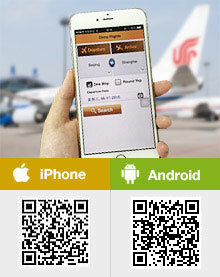 If yes, Is there any visa arrival service at Qingdao airport? No, you don't need. You can enjoy 24-hour free visa. Do Qingdao international airport have ATM's for with drawing money? if yes then where is it at the airport? Yes, there are some ATMs. There is one Bank of Communication ATM located in the south side of departure hall Gate 3 on the 2nd floor of the terminal building and Pudong Development Bank ATM is located opposite gate 15 of departure area 15 in the terminal building. Seoul to San Francisco with a 5 hour layover in Qingdao. Is transit visa required ? There is a five hour stop over. Please advise if I need a transit visa. No, you don’t need a visa.